Last fall I visited the newly-opened Jurassic Forest and enjoyed it very much. 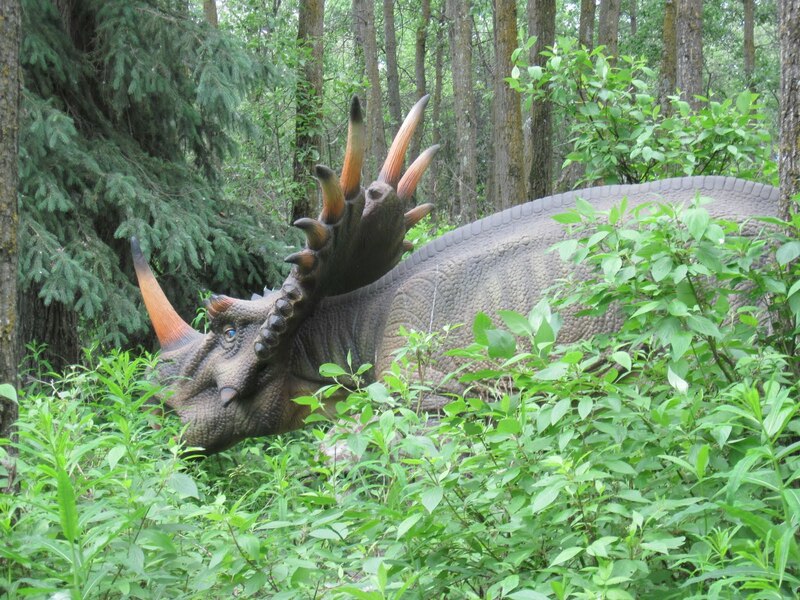 However, because winter arrives early in Edmonton, the leaves had already fallen and the dinosaurs were quite snowy! Today I spent some time showing off ankylosaur fossils and casts with visitors at the forest, and had a chance to see the dinosaur trails in their summer greener. Here’s a few new photos from the forest! I’m back from a vacation to visit various family members scattered around the globe, including a stop in Toronto. It was time for a long overdue visit to the Ontario Science Centre, which I hadn’t visited since I was in my early teens, but which was one of my very favourite places when I was younger.